Are your batteries really compatible with my Invisible Fence® receiver? Yes, they really are. 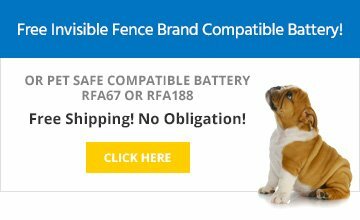 Our replacement batteries are 100% guaranteed to work with your Invisible Fence® brand receiver, including R21, R51, Microlite™, Platinum, Basic, Mink, and Titanium models. Unlike other aftermarket batteries, our battery also works with the R22 receiver. The battery cell is identical in type to the one used in the Invisible Fence® battery, and our battery casing is engineered to perfectly fit all of these models of receiver collar. 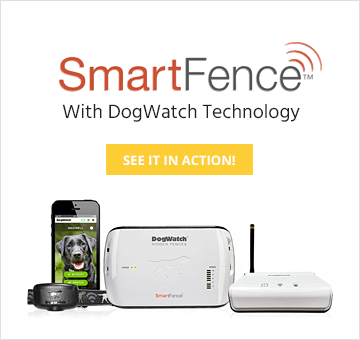 Do Fido’s Fences batteries last as long as other brands? We’ve thoroughly tested our battery against our competitors’ batteries in identical equipment, and we find that the Fido’s Fences brand battery consistently lasts as long or longer than its competitors. How can they be so much cheaper? Because you buy Fido’s Fences brand batteries directly from us, the manufacturer, you can save 50% or more on compatible batteries. Invisible Fence® sells batteries and equipment through a network of distributors and dealers nationwide, so by the time the batteries get to you, they’ve been marked up by at least 2 or 3 middlemen. I heard that using an aftermarket battery could void my receiver warranty, is that true? Not only is it false, it would be illegal under U.S. Federal antitrust laws. Manufacturers are legally prohibited from forcing their customers to also buy their brand of supplies or accessories in order to maintain the warranty. Think about it – what if Sony required everyone who bought a Sony product to only use Sony brand batteries in their products, or else they wouldn’t honor the warranty? That would never happen, because it’s illegal, and also because customers would never stand for it. We’ve seen cases on discussion forums where some electronic fence system dealers warn customers that using less expensive aftermarket batteries “may” void their warranty; however, we have never heard of an actual case where the warranty was actually voided. If you have an equipment failure that should be covered by warranty and your dealer will not honor it because you’re a Fido’s Fences customer, let us know. We’ll be very interested to hear from you. Could your batteries make my receiver to break? At Fido’s Fences, we work hard to ensure that each battery we manufacture exactly matches the specifications of the product for which it is intended. We’ve sold a lot of batteries over the last few years, and haven’t been informed of a single case where one of our batteries caused a receiver failure. Usually what we hear is that the batteries got there faster than anticipated, worked perfectly, and saved the buyer a lot of money. In the unlikely event that you’re the first one to have that problem, contact us immediately. We’ll work with you to correct the problem. This depends on the type of battery, so you should check your instructions. For most Invisible Fence® brand systems, the manufacturer recommends a new battery every 3 months for best results. Remember, consistency is key to proper training and containment. If your dog is able to cross the fence boundary because of a battery failure, you’ll need to re-train him, and you can expect that your dog will be testing that boundary far more often in the future. Our batteries have a shelf life of up to 5 years. We recommend that batteries be stored in the original packaging. Remember if you leave batteries in the receiver collar, they will run down in a few months, regardless of whether you’re using the collar. As a convenience to our customers, we offer the Fido’s Fences Battery Plan to take the guesswork out of battery replacement. For the most effective pet containment, it’s important that your dog never be able to cross the fence boundary because of a failure in the receiver collar. If the battery runs out, your dog will quickly learn to ignore the fence – which means you’ll have to re-train your pets to stay safely contained. With a Fido’s Fences battery plan, you will receive a replacement battery by mail every three months – reminding you when it’s time for a fresh battery, and ensuring that you always have one on hand when you need it. Don’t see the answer you are looking for? Contact us here! Dog Training Tips from our Blog!